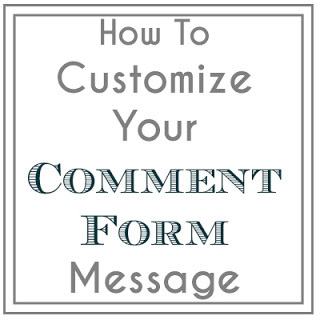 A Typical English Home has done a tutorial on how to change the message in your comment form. If you haven't done this before I recommend that you have a look at the post. It's easy to do. Thanks Carole. Another helpful tip! Great tip. Thanks for joining us this week at the Let's get social Sunday party. Have a wonderful week! I will check this out right now!